Websites that provide information are helpful, but what a business really needs to do is engage the customer and create interaction with them to ultimately increase their volume of business. Whether selling a product or a service, your website needs to create a desire for your customer to buy your product or service, engage them in a conversation or at the very least insight that customer to desire more information. Conversion architecture, moves your website visitor from various points thoroughout your website to compelling calls-to-action. Good conversion architecture is seen when a website creates that desire for a customer to take action to do business at that moment or initiate an action to show desire to do business in the future. As business owners, you want to make the choice not to settle for subtle changes that create only average results and please not the ideal customer, but only the average customer? Many owners are guilty of settling for what they can get by catering to the “average” site visitor, we are likely ignoring a majority of our potential customers who command personalized attention. By seeking to combining your strategic marketing strategies with the goals of the ideal customer business owners will see greater results. 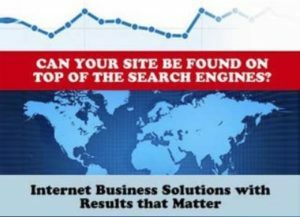 Whether or not you use some or all of the available Internet marketing tools, your website CAN be your primary and most successful marketing tool. 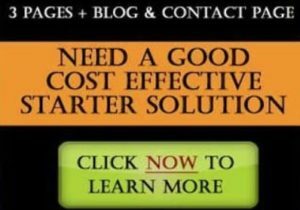 So you need to address what value your website has to your business if visitors are coming to your site but not converting or completing the desired action (i.e. : making a purchase, subscribing to a newsletter, etc.)? Conversion Architecture™ begins by establishing your business goals and target audience, and then ensuring that every element of your site persuades visitors to take the desired actions. These elements include: persuasive content, calls‑to‑action and conversion tools like live chat or click‑to‑call technology. The guiding philosophy of Conversion Architecture™ is that all websites must have a persuasive purpose. By building your site with Conversion Architecture™ as the basis, the end result will be more visitors doing what you want them to online – whether that means buying your product, signing up for a newsletter or asking for a quote. Conversion Architecture™ follows rule known as 40/40/20 – This means 40% Audience Targeting, 40% Offer and 20% Creativity. These figures come from the Direct Marketing Association (DMA) in its outlining of parameters that determine the success of a marketing campaign. 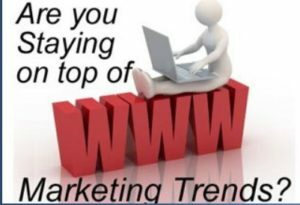 Whether or not you use diverse Internet marketing methods like pay-per-click advertising, landing pages, viral marketing campaigns, etc., you can always think of your website as your primary marketing vehicle. Build it using the 40/40/20 Rule where (a) every element of the website keeps in mind the majority of users and their varied profiles; (b) there exist multiple acquisition channels making a variety of offers and (c) aesthetic design and creativity offers unique and personalized experiences for site visitors. 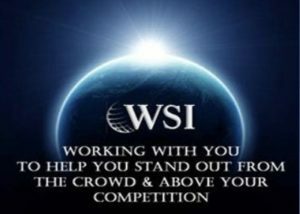 Your local WSI Consultant can engage you in an Information Architecture™ meeting to identify the details of your 40/40/20 formula and work the magic for your website! Call and book an appointment today.